This social skills group is a time for children of all abilities, ages 3 through 8, to come together to learn, share, cooperate, and to have fun. Each week we look forward to exciting and challenging social interactions. Our structured and cozy setting is an ideal place to practice individual and small group goals such as greeting friends, learning to join a group, language development, and play skills. 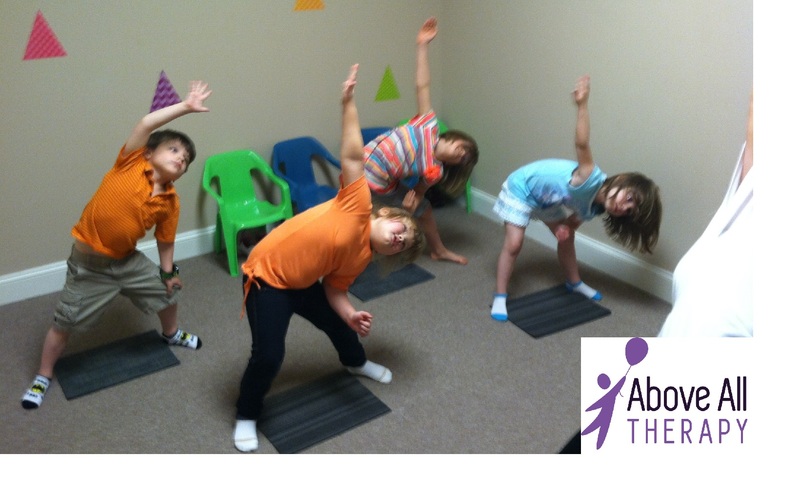 We use a combination of therapies, including applied behavioral analysis (ABA), throughout our sessions. In addition to fostering social engagement and developing friendships, we also work toward mastering IEP and academic goals. Although we understand that learning social skills is extremely challenging for our students, we make sure that they have fun while learning. We want your children to laugh and be silly with their peers. We provide a structured setting and a language-rich environment that naturally promotes socialization. Our teachers are extremely knowledgeable in the field of special needs, autism, and behaviors, but they are also excellent at creating fun and engaging lessons. Our social groups are small and fill up quickly so be sure to call to register. Above All Therapy's social skills groups are also created based on interest so your opinions matter. Call 216-235-0390 or use our social group interest form to tell us more about your child and his/her interests and needs. *We are approved providers of both the Autism Scholarship Program and the Jon Peterson Special Needs Scholarship Program.